* Separate registration required. Compliance Week Europe bundle offer available. Case study: Op Wilbarger. The Exploitation of Vulnerable young women kidnapped in Slovakia and Trafficked into Western Europe for sexual purposes. Focus on Lunik 9 Housing Estate in Slovakia. 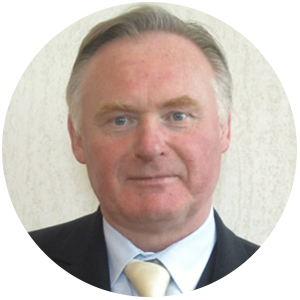 Grahame White is a Former Detective at the National Terrorist Financial Investigations Unit at New Scotland Yard with 30 years of Police Investigations and 12 years of National Terrorist Financial Investigation Unit experience. Grahame was the designated financial investigator for Operation Crevice (the fertilizer plot) and 7/7 suicide attacks on the London Transport Network. He holds a Master’s Degree in Fraud Management. Drawing upon extensive investigative experience, court monitoring, open source research and continued interactions with the global law enforcement community, Grahame has created numerous Counter Terrorist Finance Indicators specific to the current terrorist profile. Understand and recognise the HTIs, typologies, trends in money laundering, and the techniques and methods of organised crime, such as company structures, in human trafficking and exploitation cases. This event is designed for financial institutions and law enforcement professionals looking to enhance their investigative and data mining skills to identify suspicious activities related to human trafficking and terrorism financing.